In the summer of 2010, Wirth Law Office, based in Tulsa, Oklahoma, opened a satellite office in Wagoner, Oklahoma — Wirth Law Office – Wagoner. Our success in Wagoner during the first year was amazing. The overwhelming word of mouth response among clients in Wagoner lead to an increasing amount of people needing representation in nearby Muskogee. 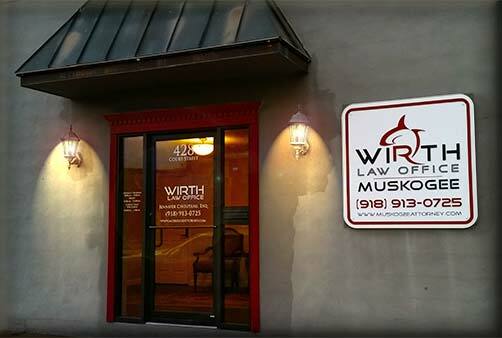 Therefore, to better serve the needs of the Muskogee community, Wirth Law Office – Muskogee was opened on July 1, 2011. Contact the Muskogee lawyers at the Wirth Law Office – Muskogee for a free consultation by dialing (918) 913-0725 or call toll-free at (888) 447-7262. Or, if you prefer to contact us by email, use the form at the top of this page or email firm@muskogeeattorney.pro. 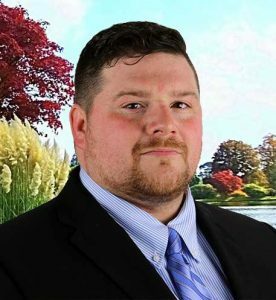 When you need a Muskogee attorney dial (918) 913-0725.